REGOLAMENTO UE N. 2016/679. RESPONSABILE DELLA PROTEZIONE DEI DATI PERSONALI. Previous Post:RAGGRUPPAMENTO CARABINIERI BIODIVERSITA’ DI LUCCA- BANDI DI CONCORSO A TEMPO DETERMINATO. 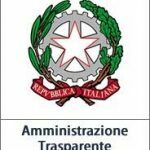 Next Post:AVVISO DI SELEZIONE PER LA COSTITUZIONE DELL’ALBO DEI RILEVATORI E INTERVISTATORI STATISTICI PER IL CENSIMENTO PERMANENTE DELLA POPOLAZIONE 2018/2021 EMESSO DA UNIONE DEI COMUNI DELLA GARFAGNANA.